The crew of Air China Boeing 777 reported that plane’s fire alarm had been triggered during the flight, prompting the captain to make an emergency landing in Anadyr, the capital of Russia’s Chukotka District. According to the airline, all 188 passengers on board were evacuated via inflatable ramps. 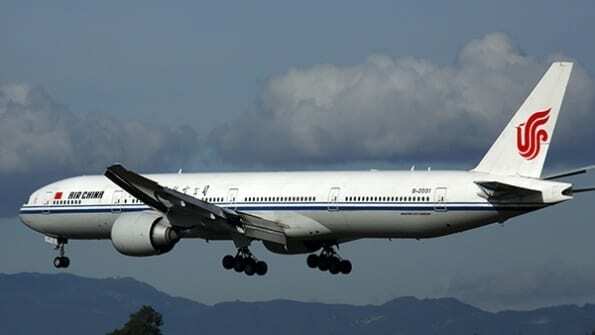 Air China’s plane jet was flying from Beijing, China to Los Angeles, USA, when the fire alarm went off in the cargo compartment. “The crew reported that the fire alarm was triggered in the baggage compartment and the decision was made to make an emergency landing in Anadyr. All airport services <...> ensured the safe landing of the aircraft,” Russian Civil Aviation body Rosaviatsiya said. According to the officials, there were 188 passengers on board the aircraft, they were evacuated by inflatable ladders. Now it is planned to accommodate the passengers in Anadyr hotels and in the transit zone of the city’s airport. The regional Emergencies Headquarters reported that the information about the fire on board the Boeing was not confirmed, and no one was hurt in the incident. Rosaviatsiya asked Air China when the airline plans to send a backup plane to Anadyr to deliver passengers to Los Angeles. In February 2018, a United States citizen died aboard an Air China plane flying from Beijing to Geneva. The man died before an emergency landing in Moscow was made. In July of the same year, the Boeing 737 of Air China, carrying more than 150 passengers, abruptly lost altitude because of a pilot who smoked an electronic cigarette in the workplace: trying to get rid of the smell, instead of pressing the fan button, he pressed the button that turns off the passenger salon, which led to a decrease in the concentration of oxygen and the operation of the security system. Wine barrels: French or American oak? Stainless steel or cement? Does it matter? From the soil and the vineyard to the bottle and the table, the humble grape has a complex journey.